Welcome to Celtic Collectors Club. 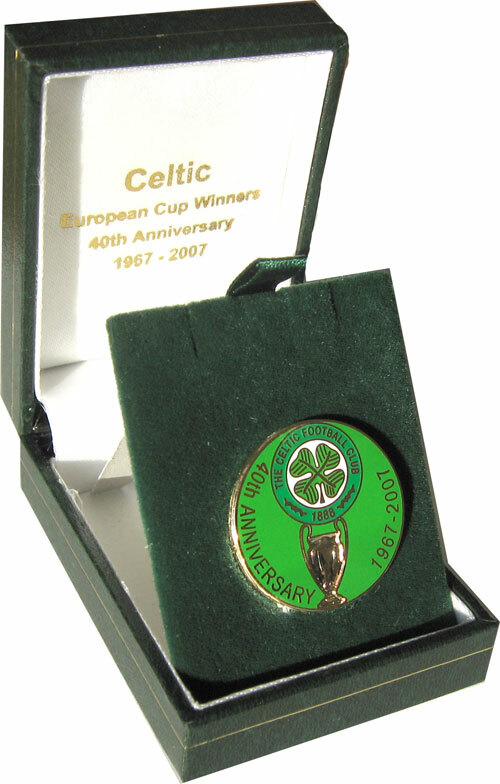 Established October 2000 to share information on Glasgow Celtic Memorabilia. From Celtic match programmes, to books , brochures, badges, fanzines and so much more. Site now has 1350+ pages and 2500+ images. I try to update site daily as news items come in. Please browse the many sections on the site. I have a fixed price programmes sales section to move on some of my hundreds of mint Celtic home/away doubles. 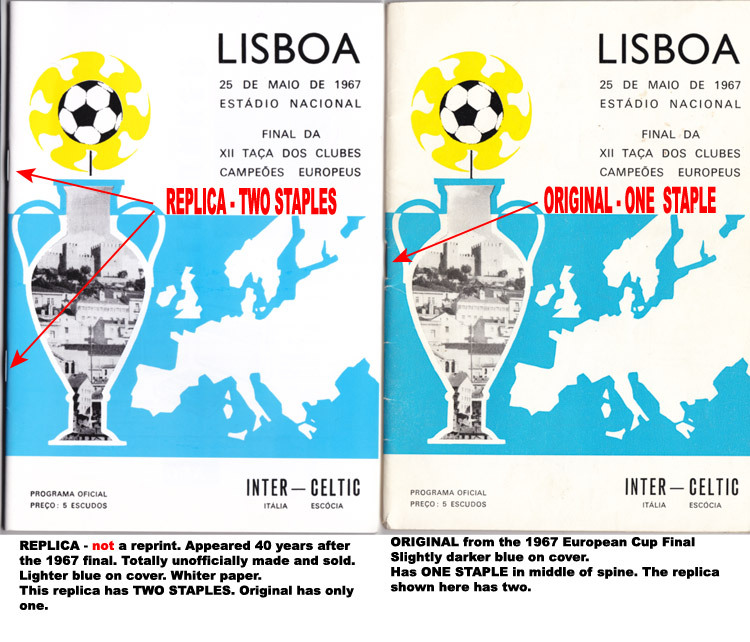 Above – image of an original 1967 European Cup Final programme and an unofficial high quality replica. 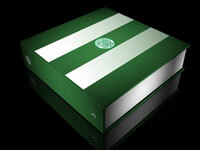 Have you visited my other sitewww.celticmatchprogrammes.co.ukover 7400 pages. 1000s of programme scans and stats back to 1888. Bet you try to find your first Celtic match !! Over 4000 badges on display. 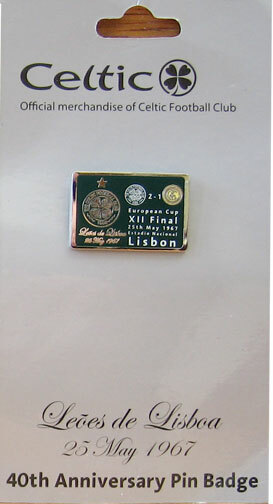 Over 1300 Celtic Supporters Club badges. Many adverts by the CSCs. Over 1000 Celtic Match Badges showing the ever growing area of Celtic collecting. BADGES!!! Poles N Goals & Hesselink by Paul Larkin – out now. 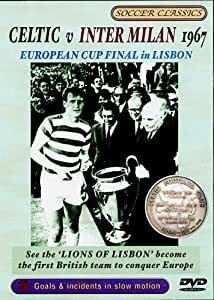 The Road to Lisbon by Martin Greig & Charles McGarry- out now. The much awaited book Celtic Opuslaunched at Celtic Park on 25th Nov 2010. Read more on this wonderful book and how to order it. Limited edition of 500 books. I do not buy programmes or books through the web site. I do sell what doubles I have gathered over the years in Sales Section. I am often asked for assistance when a vistor or collector wishes to buy or sell programmes, books etc. I have gathered a few links to Programme Dealers that may be helpful. Brian Johnson at Almondvale Programmes. Shop 200m from Hibernian’s Easter Road Stadium. Subscription service. Derek Taylor at Kollectables. Memorabilia Shop in Parnie Street, Trongate, Glasgow. Peter & Kath Rundo Programmes. Michael Hewitt – Leeds based Programme Dealer. Will Email catalogue on request. Celtic FC 50 Classic Matches Paul Lunney 2007 originally Tempus – now given as NPI Media July 2008 publisher confirms not yet published. No date set – again!!!. Great Moments in the history of Celtic 2006 Historic Newspapers – Danbury Mint Edition same book as one below but twice the price for a cover. 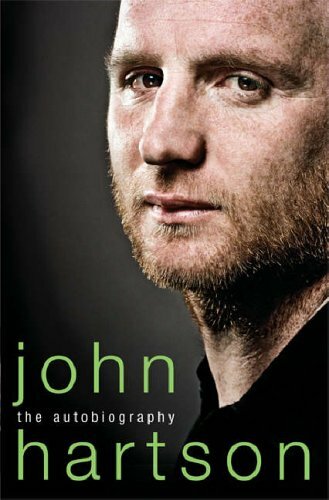 The Little Book of Celtic Graham Betts 2006 Green Umberella..
My Life in Football Gordon Strachan 2006 Little Brown Book Co.
Former Glories Future Dreams John C Traynor 2000 Grange Comm. Thanks to Danny Jacobs from Glasgow Programmes for allowing me to scan these “The Shamrock” Celtic fanzines. I can’t say for certain when this fanzine started and ended. A detailed history of “The Shamrock” can be found on Not the View web site in their history section. It appears to have been made by The Shamrock Celtic Supporters Club from Edinburgh. One name appearing regularly and was possibly an editor was John Doogan from Gilmerton, Edinburgh. The fanzine was hard hitting and was sold outside Celtic Park before home games. Articles often targetted the SFA , and the Celtic Board. I know of 15 editions between 18th January 1963 to 26th September 1964 Covers were either dark green , light green or white. Update June 2008. Celtic collector and Celtic Collectors Club member Jim Donaldson has emailed in to say he has copies of 21 editions of the fanzine. The last one dated Christmas day 1964. A must for every Celtic Fan!! RMG CHART Entertainment Ltd have produced a wonderful double disc DVD – collectors edition. It is timed for the 40th Anniversary of Celtic winning the European Cup in Lisbon. Disc One features the original black & white match footage. Use the link above to buy online. Or purchase at any Celtic Shop and many other DVD outlets throughout the UK and Ireland. 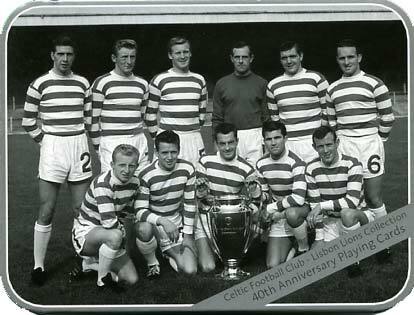 Feb 2010 – I have been asked to highlight the existence of a good quality REPLICA of the 1967 European Cup Final programme – from Lisbon Celtic v Inter Milan match on 25th May 1967. Note : I call it a REPLICA. It is not a reprint. It was made about 40 years after the match. Totally unofficially and sold unofficially. I cannot say when it first appeared. I know of one dealer who sells it as a reprint. I have seen it sold as such on eBay. I just hope no one has bought it as an original. The info below shows the differences between this replica and the original. The main points being the use of two staples on the replica. One on the original. The blue on the cover of the replica is lighter and the paper very white. The original sells for over £200, if in good condition. The replica is sold (as a replica) for £5. The 25th May 2007 brings the 40th anniversary of Celtic winning the European Cup in Lisbon. 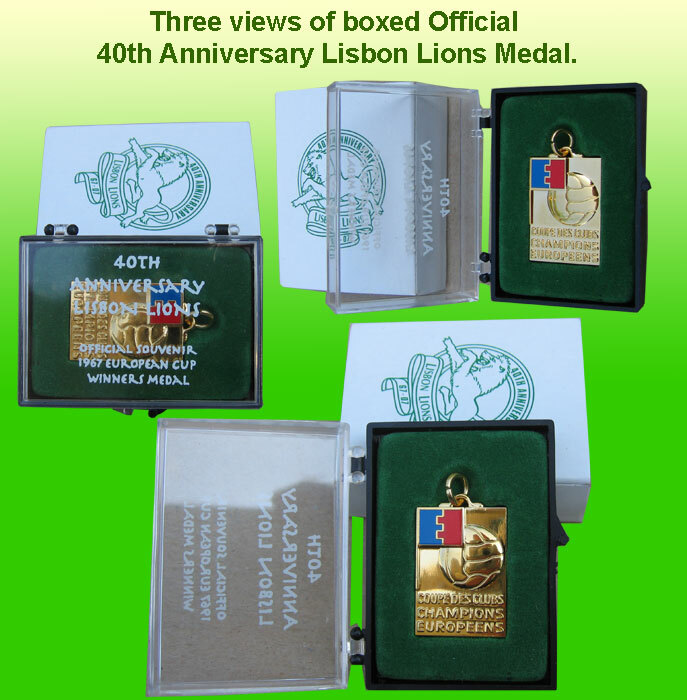 I am sure a number of items will appear to commemorate the occasion and the Lisbon Lions. 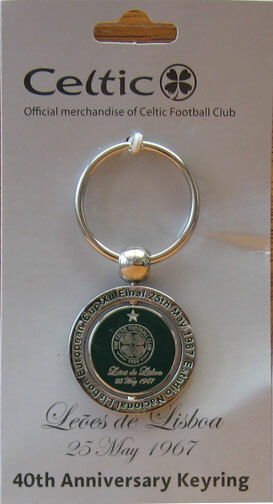 The badge above to left was given out (on card) to those attending the 40th Anniversary Banquet on the pitch at Celtic Park – 25th May 2007. The badge to the right is very similar. 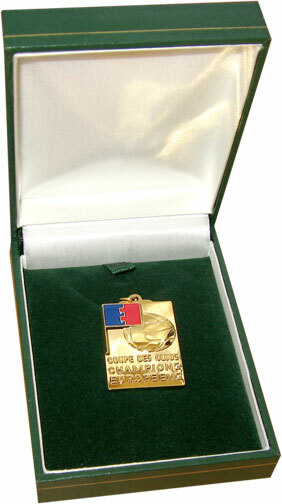 It is the 2007 Charity Day badge sold for donations before a match in April 2007. There are 3 replica medals on sale just now, plus one made as a badge. 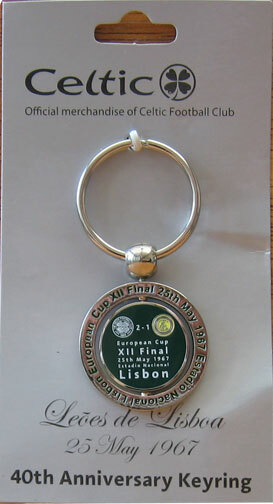 This is only Official one done by the Lisbon Lions as a souvenir of the 1967 European Cup win by Celtic. See image. Celtic Shop Playing Cards in a Tin to commemorate the 40th Anniversary of winning the European Cup in Lisbon. The tin has a cardsleeve. The image of players on the lid is raised. The cards are identical to standard pack except that they have gold edges when pack held together.